In what was supposed to be an epic battle between two of the best signal-callers to ever grace the field, both Tom Brady and Aaron Rodgers were about as average as it comes in the Pats’ 31-17 win over the Packers on Sunday night. Much of this had to do with stellar defensive play on both sides, as both quarterbacks failed to crack 300 passing yards. In fact, were it not for two big catches on consecutive plays at the end of the third quarter by Packers rookie Marquez Valdes-Scantling, totaling 50 yards, Rodgers would have barely topped 200 yards. The Packers also held Brady to just over 220 yards and no scores heading into the fourth quarter. Basically, if you took the over and were expecting offensive firepower all night, you were severely disappointed. I will also humbly eat a gigantic piece of crow pie this week, as I was a bit too quick to write off Cordarrelle Patterson as a runner in last week’s game notes. While I do stand by the fact he looked terrible outside of one play in Buffalo, the 27-year-old athletic specimen looked fantastic toting the rock last night, rumbling his way to 61 yards on 11 carries – which included muscling his way into the endzone on a five-yard goal-line score in the second quarter. Trey Flowers, man. He finished third on the team in tackles and had a half-sack to boot. But, again, it’s what he does outside the stat sheet that truly counts, as his motor doesn’t stop all game long. The play that stood out to me was a 2nd-and-5 attempt for the Packers with about 1:50 to go in the first quarter, where Flowers absolutely plows through his first blocker and quickly sheds the next two guys on a DOUBLE-block to get in Rodgers’s face, forcing an incomplete pass and a third down. The guy continues to be an absolute force, especially these past couple of weeks. There’s just not much else to say. Kyle Van Noy had another nice night as well, particularly as a run-stopper, finishing with nine solid tackles. The guy still can’t cover worth a lick, but he does do everything else pretty well and has been one of the D’s top performers this year. Even with Shaq Mason being out this week, Brady was only sacked twice and hit just one other time. Much of this, however, might have to do with the fact that Brady has been blitzed at the lowest rate in the league this season, as pointed out during the broadcast last night by Cris Collinsworth. Not to take anything away from the offensive line, but apparently teams haven’t really been gunning too hard to get after him – which does, in fact, make a lot of sense considering the Pats’ dink-and-dunk approach which doesn’t call for Brady to hold on to the ball for much more than a second or two. Either way, it’s a good thing. I just thought it was interesting. 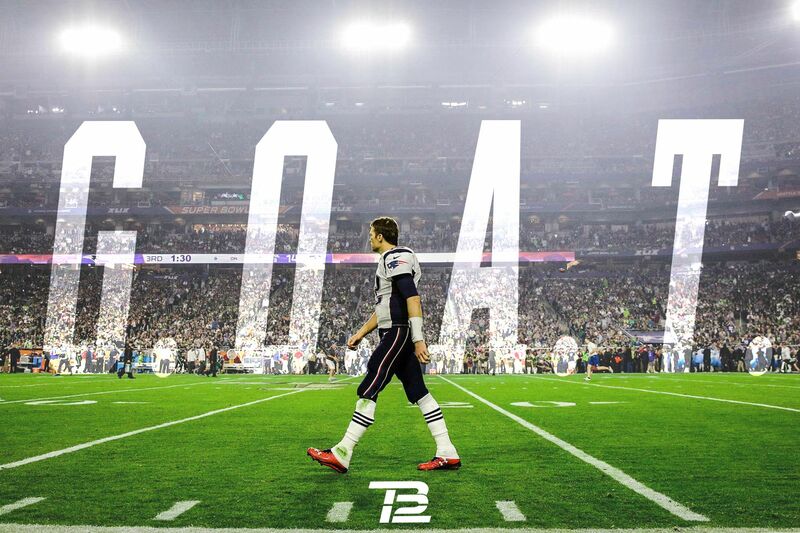 As if he needed yet another feather in his cap, Brady also became the first player ever to surpass 80,000 total yards in his career (including the postseason). The previous record-holder was Peyton Manning, with 79,978, but Brady took the top spot on the team’s go-ahead drive in the fourth quarter last night. Julian Edelman and Josh Gordon are the best pair of receivers Brady’s had in YEARS. They both dominated last night. Be sure to check back in with The 300s this Thursday for our preview of Sunday’s matchup with the Titans down in Nashville. This entry was posted in NFL, Patriots and tagged Green Bay Packers, New England Patriots, NFL, NFL Week 9, NFL Week 9 Recap, Patriots, Patriots Packers Game Notes, Patriots Packers Postgame, Patriots Packers Reaction, Patriots Packers Week 9, Pats. Bookmark the permalink.